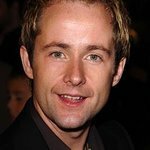 Lord of the Rings actor Billy Boyd appeared at a charity music awards ceremony in Glasgow, Scotland, during the weekend to raise money for Nordoff Robbins. The star performed with his band, Beecake, and accepted a People’s Choice Best Live Act award at the Tartan Clef Awards. Beecake also received the most votes from fans in an online poll organized by tourist organization Visit Scotland. The event raised £100,000 (US$200,000) to help fund music therapy in Scotland. The other big winner on the night was Scottish singer Sharleen Spiteri, who won an Outstanding Contribution to Music Award. Spiteri – the lead singer for rock band Texas – recently performed for autistic children at a school in Scotland, and also took part in the Children in Need concert in London. “Nordoff-Robbins does some wonderful things for people who have to contend with all manner of disabilities,” said Sandi Thom, who was a past winner at the Tartan Clefs.